Back in 2014 as part of the Gardner Digital Memory Bank project, Blair Williams of Cumberland County Historical Society interviewed me about the Craigheads. Because the video is lengthy, I’ve cut it into clips by topic. The first three clips have been loaded onto the Craighead House website at http://CraigheadHouse.org/History. That tab was chosen because the focus of the interview was about the history of the Craighead family. The stack of books in my office in which I am acknowledged as being a source continues to grow. 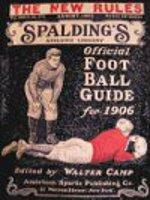 Most have to do with Lone Star Dietz or Carlisle Indian School football players but the most recent sports book has nothing to do with them or football. It is a baseball book of sorts. The Cloudbuster Nine: The Untold Story of Ted Williams and the Baseball Team that Helped Win World War II by Anne R. Keene includes a couple of passages on the Craighead twins and references to Glorious Times. Keene’s father, Jim Raugh, grew up in Chapel Hill, North Carolina where, at age nine, he suited up in a Cloudbusters’ uniform as the Navy’s pre-flight training base’s baseball team’s batboy and mascot. But his daughter didn’t learn about this until after his death. Her book is as much a story of her personal journey to uncover her father’s history as it was to tell the story of a thrown-together team of future hall-of-famers and other professionals. Ms. Keene discovered the Craigheads in her research about the team and the training the players underwent prior to becoming pilots. Intrigued by them, she stopped by for a visit at Craighead House while she was on a book tour this summer. She also gave me some hints on writing press releases. This week I received an acknowledgement from another author, but not of a book. 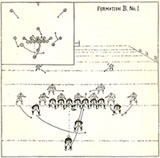 This one came on the Green Bay Packers website from their team historian Cliff Christi. Ron from Appleton, Wisconsin had asked him about any Oneidas who had played for the Packers. In his response, Christi mentioned me and my book, Wisconsin’s Carlisle Indian School Immortals, as an important reference. His article can be found here: https://www.packers.com/news/packers-fan-from-ukraine-asks-about-team-s-first-coach. An encyclopedic, multigenerational chronicle examines a family’s extraordinary contributions to wildlife biology, conservation, and nature literature. What the Kennedys are to politics, the less-famous Craigheads are to nature—a prolific and accomplished clan. 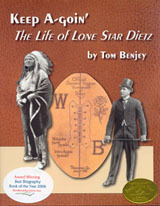 Benjey (Doctors, Lawyers, Indian Chiefs, 2011, etc.) traces their ancestry to Scottish-Irish immigrants who settled in central Pennsylvania in 1733. In 1868, a railroad bisected the family farm. A great-great grandson built a depot, Craighead Station, and started grain, lumber, and coal businesses. A mansion, still standing by Yellow Breeches Creek, connected generations of Craighead children with flora and fauna. Five siblings, born between 1890 and 1903, graduated from college. Frank Craighead Sr. became a U.S. Department of Agriculture entomologist. His brother, Eugene, became a state entomologist for Pennsylvania. Frank’s twins, Frank Jr. and John, gained fame as self-taught teenage falconers. They later studied grizzlies, devised the first radio-tracking collars for large animals, and battled National Park Service bureaucrats over bear management. They wrote the 1968 Wild and Scenic Rivers Act, authored National Geographic articles, and produced lectures, photographs, books, films, and television programs. Their sister, Jean Craighead George, wrote more than 100 children’s books about animals and nature. Best known are Julie of the Wolves, a Newbery Medal winner, and My Side of the Mountain, a Newbery Honor work made into a movie. Five Craigheads achieved name recognition, but Benjey approaches the family as an ecosystem, deftly covering three dozen members over three centuries. He includes a family tree (indispensable) and a useful index and endnotes. Largely chronological, the book alternates between sections following entire generations through decades and chapters highlighting key individuals or topics. Benjey displays prodigious research skills and enthusiastic storytelling. With extensive family cooperation, he weaves interviews, letters, school yearbooks, family photos, and public records into such detailed scenes that he seems to have been present. He often sounds like a Craighead. Granular details about extended family members occasionally tread close to tedium, but overall, this comprehensive, impressive synthesis of the historical, familial, social, economic, and natural forces that created the famous Craigheads is well-told. The author skillfully fills a scholarly, historical niche, producing an environmental and biographical work with broad popular appeal. Don’t forget the Livestream of my interview/talk tomorrow. NCTC will broadcast it at 2:00 p.m. EDT on June 28. On Thursday, I drove down to Shepherdstown, West Virginia to the National Conservation Training Center (NCTC) where, as part of the Craighead House contingent, I attended the Balancing Nature and Commerce workshop held by the Conservation Fund nearly a year and a half ago. Returning to this beautiful rustic campus that honors the Craigheads so prominently in their great hall was a delight. One morning on the last trip, the Craighead group met for breakfast with Mark Madison, Fish and Wildlife Service Historian, to discuss ways in which they could support Craighead House. This meeting led to Mark having four window-size foamboards made to help tell the Craighead story, initially at the Craighead 80/85 Anniversary Celebration last September and permanently as static displays in windows easily viewed from the porch facing the parking lot. This time I wasn’t coming as a student as on the first trip. Mark invited me to be interviewed in their television studio. Since I had already prepared a PowerPoint presentation that I use to accompany in-person talks, I brought that along. He liked the title page so well that he used it as the title screen for the broadcast. The NCTC doesn’t normally broadcast live, probably because a little editing is often needed to fit the taped sessions into their timeslots. Mine is no different. It will be broadcast at 2:00 p.m. EDT on June 28—this coming Thursday. It will remain on their site for some time, after which it will be available from their archive. Every now and then one of my books gets a minor award. Last June, Midwest Book Review named Glorious Times: Adventures of the Craighead Naturalists a Reviewer’s Choice. Now, The Green Book Festival has picked it for the Runner-Up in the Biography/Autobiography category. The Man Who knew Everything by Marilee Peters was the winner and With Angel’s Wings by Stephanie Collins was Honorable Mention. Several categories only had Winners, no Runner-Ups or Honorable Mentions. The Biography/Autobiography category must have been more crowded than most. In the publishing industry, we talk a lot about independent publishers. What exactly does that mean? Well, it’s hard to define. In the strictest sense, we mean anyone other than the powerful Big Five: Penguin Random House, Hachette, HarperCollins, Macmillan, and Simon & Schuster. Though they publish some important, thought-provoking titles, they hardly need help bringing them to market. On Saturday, April 1st, at 2:00 p.m., I will be giving my first book talk ever at Midtown Scholars Bookstore in Harrisburg, PA. This talk will be about a small portion of my new book—it contains too much information for a single talk to cover, so I’m focusing on how teenagers can impact the country. 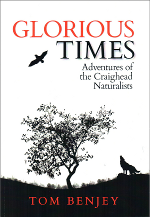 The publisher of Glorious Times: Adventures of the Craighead Naturalists,University of Montana Press, reports that copies of the book are now in the hands of the distributor, Farcountry Press. The distributor supplies books to libraries and bookstores. 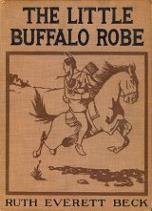 People desiring copies of the book signed by the author can get them at http://www.tuxedo-press.com/. 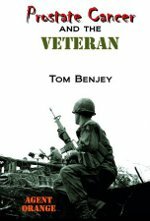 Those on Florida’s west coast can attend a talk given by the author at 3:00 pm Wednesday, February 8 at Collier County Museum, 3331 E. Tamiami Trail, Naples, FL 34112. More about the Craigheads’ connections with Florida can be found at: http://www.colliergov.net/your-government/divisions-f-r/museums/collier-county-museum. In this genealogy of the Craighead family, the author explores the history and exploits of this famously nature-oriented clan. The tale of the Craigheads begins with the dawn of the American colonies, but the book itself begins with the engaging tale of two Craighead brothers capturing and training hawks in Depression-era Pennsylvania. This story-oriented style typifies Glorious Times, which recounts the lives of the historical Craigheads in lively detail, bringing readers into close, personal proximity to the subjects’ lives. Roughly chronologically, the book describes each significant Craighead chapter by chapter, always highlighting their nature-loving and environmental points. Since the family’s story begins so early in American history, the book spends several chapters working through older relatives, who predated what modern activists would recognize as environmentalism, before getting to the generations that produced the more famous conservationists and natural scientists. However, the theme of the Craigheads as nature-lovers, hikers, campers, and outdoorspeople remains a powerful thread throughout the book. The author’s research on the topic could not be more meticulous, incorporating typical genealogical sources, such as newspapers, as well as personal interviews with Jean Craighead George and family documents, such as diaries. 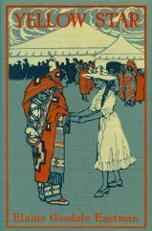 Particularly valuable to book people may be the insight that Glorious Times provides into the mind and personality of Jean Craighead George, who is presented as at once more liberal and ambitious than other Craighead women and fully in step with her family’s environmentalist tradition. Fans and critics of her work and of the roots of the twentieth century environmental stewardship movement will find this work a fascinating insight. Genealogists may also be interested in the book as an example of a family history well executed.